The researchers at Google showed how a hacker could exploit the flaw to get passwords, encryption codes and more. Amid a frantic rush to patch a computer security flaw, experts are struggling to determine the impact of a newly discovered vulnerability, which could affect billions of devices worldwide. Cybersecurity researchers called for computer systems to urgently install updates a day after the release of details of the so-called Spectre and Meltdown vulnerabilities affecting the chips powering most modern PCs and many mobile devices. Researchers on Wednesday published details of the flaw, which unlike many other vulnerabilities stems from the chip itself and how it safeguards private data stored on computers and networks. The researchers at Google showed how a hacker could exploit the flaw to get passwords, encryption codes and more, even though there have been no reports of any attacks using the vulnerability. "The full extent of this class of attack is still under investigation and we are working with security researchers and other browser vendors to fully understand the threat and fixes," said Mozilla researcher Luke Wagner in a blog post. The revelations "attack the foundational modern computer building block capability that enforces protection of the (operating system)," said Steve Grobman, chief technology officer at security firm McAfee. "Businesses and consumers should update operating systems and apply patches as soon as they become available." Computer chipmaking giant Intel -- the focus of the first reports on the flaw -- said the company and its partners "have made significant progress in deploying updates" to mitigate any threats. But John Bambenek, a Fidelis security researcher who works with the SANS Internet Storm Center, warned that it may be too soon to know the extent of the problem. "This bug is probably worth its name and logo considering the pervasive nature of the vulnerability," Bambenek said in a blog post. "Contrary to some initial reporting, this is NOT just an Intel bug, it affects AMD and ARM processors as well. These could even be used in cloud... environments to leak memory outside the running virtual machine." In a web page dedicated to the vulnerability, security researchers said Meltdown and Spectre may "get hold of secrets stored in the memory of other running programs. This might include your passwords stored in a password manager or browser, your personal photos, emails, instant messages and even business-critical documents." The two flaws "work on personal computers, mobile devices, and in the cloud," the researchers said. It advised only getting apps from its online App Store which vets programs for safety, and said it has already released some "mitigations" to protect against the exploit and planned to release a defensive update for Safari on macOS and iOS in the coming days. Some experts pointed out that the only real "fix" in some cases would be replacing the chip itself, which would be a massive issue for the computing industry. "The good news is patches are out for almost everything," Bambenek said. "The bad news is, Spectre, in particular can't be completely mitigated by patching as it seems it will require a hardware fix. The good news is that Spectre is harder to exploit." The US government's Computer Emergency Response Team initially indicated in a bulletin that only a hardware fix would solve the problem, but then removed that from an update. "Fully removing the vulnerability requires replacing vulnerable CPU (central processing unit) hardware," said the first bulletin. 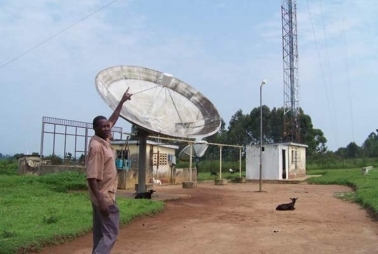 Arua- The destruction of the only earth satellite station and medium wave station in Arua District in 1979 has left scars on the Information and Communication Technology (ICT) in the region. Though Idi Amin was said to be illiterate, he realised the importance of the facilities and ordered for their establishment. The satellite was used for military communication and television while the medium wave was strictly for radio. After the war that ousted Amin, the earth satellite located in Ombaci, about 4KM north-west of Arua Town, and the 10KW medium wave transmitter in Giligili in Ediofe, were vandalised and abandoned. The satellite station sits on 12 acres of land while the one at Giligili sits on five acres. The facilities were constructed by Harris Company, a US firm, in 1976. The stations are now bushy. They provide palatable grass for rearing animals and have also been turned into farms by residents who encroach on the government land. Security at the multi-million facilities remains lax. According to Mr Yoram Badang, a technician at the site, the satellite was used for military communication and also to relay television stations from the outside world. Ugandan Television viewers at the time watched live for the very first time the annual pilgrimage to Mecca. Infrastructural investment as part of media development began after independence and continued with successive post-independence governments. Soon after its construction, the now abandoned station was used to broadcast to North America and Europe. After the fall of President Idi Amin, it was taken up by Uganda Post and Telecommunications Corporation. The 150 meters-tall tower, said to be tallest in East Africa, is now being used by BBC and UBC. However, the unprotected satellite lays run-down with most of its valuable components looted and vandalised. “If power is off, then BBC goes off since there is no standby generator. We only receive power from Wenreco and the place has not been used for television broadcasting. Communication can be made easier if these sites are revived since the world is globalised with improvement in ICT,” Mr Badang said. Between 2004 and 2009, Bonfree Television Network (BTN) and Nile FM hired the satellite antenna at Shs2 million per month, but where forced to relocate since it had become expensive for them. In a 2008 visit to the defunct sites, the chairman Parliamentary Committee on ICT then, Mr Edward Baliddawa, said the government must refurbish the satellite and MW transmitters to improve communication that is crucial in boosting trade across the district and neighbouring countries. “It is disheartening to see these valuable assets wasted yet we have a government in place. People can use this for internet services and start radio and television stations to improve on their income,” he said. Mr Baliddawa said vibrant ICT must propel all stakeholders to rejuvenate the existing crumbling structures. He also added that revitalisation of ICT related tools can make institutions and markets productive, enhance skills and learning, improve governance and make it easier for the poor to access services and make their voices heard. 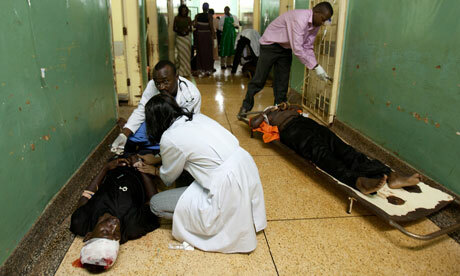 “This is wastage of government wealth which could see Ugandans reap benefit from it,” the MP added. Mr Baliddawa said there was need to revitalise the ICT industry in the district through the existing structures. He said the government loses billions of income from such abandoned structures, which the trend has to be reversed. The chairperson Parliamentary Committee on ICT, Ms Paula Turyahikayo, said the status of the satellite should be studied to in-depth so that the government could be asked to revive it. “Satellite is a very expensive venture to set up, but if the equipment could be replaced with modern ones to fit into the digital world, it would be good because satellite offers broad communication opportunities,” she said. Former Arua District chairman Richard Andama Ferua said the local community suffers with high rate of internet services, which could be made cheaper if the dishes and masts are refurbished. For instance, internet rates are now at Shs50 per minute in places in the town. In 2002, the government announced plans to install new transmitters at a cost of $3.4 million (about Shs8.4 billion) through a World Bank-funded project. The project kicked off simultaneously at Arua and Lira stations and it was supposed to be carried out at 10 stations across the country. So far transmitters at Kabale and Mawaga have been installed, but the residents are asking when the one in Arua, that would serve the north and eastern regions, will be installed. Satellite communications links add capacity to existing communications capabilities and provide additional alternate routings for communications traffic. Satellite links, as one of several kinds of long-distance links, interconnect switching centres located strategically around the world. They are part of the defence communication systems (DCS) network. One important aspect of the satellite communications network is that it continues in operation under conditions that sometimes render other methods of communications inoperable. Because of this, satellites make a significant contribution to improved reliability of Navy communications. The reliability of satellite communications systems is limited only by the equipment reliability and the skill of operating and maintenance personnel. There are also nine types of satellites that perform different functions. This include, astronomy, atmospheric studies satellite, navigation, communications, reconnaissance, remote sensing satellite, search and rescue, space exploration and weather satellite. EBULA ennaku mbale okutuuka ku lunaku lwa June 17, 2015, ttivvi zonna ezinaasangibwa nga tezinnaba kugula Set Top Boxes oba ezimanyiddwa nga dikooda ziggyibweko. Luno lwe lunaku Gavumenti lwe yasalawo okusalirako ttivvi ezitannayungibwa ku Digito, olwo nsalessale w’olukiiko lw’ensi yonna owa June 30, 2015 lugende okutuuka nga mu Uganda kiri mulaala. Omuwandiisi waffe Kizito Musoke yasisinkanye Ying. Godfrey Mutabaazi, akulira ekitongole kya Uganda Communications Commission (UCC), Gavumenti ky’eyitamu okussa mu nkola okukyusa ttivvi zonna zidde ku digito n’alambulula enteekateeka eno. Empeereza ya digito y’etya era lwaki tusazeewo okugigendako mu kiseera kino? Enkola eno eya digito, omuntu abeera alina okufuna dikooda, ng’eno erimu ebyuma ebigisobozesa okuyunga ku ttivvi yo n’efuna ekifaananyi. Enkola eno yakkaanyizibwako wakati w’ebintongole okuli; Uganda Broadcasting Corporation (UBC), National Association of Broadcasters (NAB), Uganda Communications Commission (UCC) n’ababaka ba palamenti abatuula ku kakiiko akavunaanyizibwa ku byempuliziganya n’ebiweerezebwa awamu ne nsonga z’obwapulezidenti. Kyokka era olunaku luno olwa June 17, ye nsalessale eyakkaanyizibwako ensi yonna okubeera nga tuvudde ku nkola enkadde. Miganyulo ki egiri mu nkola ya digito? Omulabi ajja kuba afuna ekifaananyi ekirabika obulungi nga tekiriimu muzira, wadde oluceereceere, era ttivvi ejja kuba yeeyagaza okutunulako. Omulabi ajja kubeera n’omukisa okulaba emikutu gya ttivvi egiwera, nga kwe kuli egya wano n’egy’ebweru bw’abeera ayagadde. Omuzadde era kijja kuba kikwanguyira okulondoola ebirabibwa ku ttivvi yo, ng’okufuna emikutu gy’owulira nti ogyetaaga. Kuno era kujja kubeerako n’okugaziya ebiweerezebwa era nga kino kijja kutondawo n’emirimu emiggya. Nkola ntya okweyunga ku mpeereza ya digito? Waliwo enkola za mirundi esatu omuntu mw’asobola okuyita okweyunga ku nkola ya digito. Osobola okugula ‘Set Top Box’ (STB), abamu gye bamanyi nga dikooda. Eno ogigula lumu, era nga tekikwetaagisa kuteekako ssente za buli mwezi. Eyookubiri osobola okugula ttivvi ng’erimu empeereza ya digito munda. Zino baziyita ‘Integrated Digital Television Set’. Enkola eyookusatu kwe kugula dikooda ey’okusasulira buli mwezi. Empeereza eno esangibwa mu makampuni ga bwannannyini agatuusa kuno dikooda. Olwo dikooda ezitali za kusasulira buli mwezi ne ttivvi eza digito zisangibwa wa? Waliwo amakampuni agaaweebwa olukusa ekitongole kya UCC, okutunda dikooda eziteetaaga kusasulira buli mwezi, era nga zino zirina ne satifikeeti ya UCC etimbiddwa mu matundiro gaazo. Mu zino mulimu Brivid Uganda Limited, Widestar Digital (U) Limited, Icomsys Africa Limited, Kagadi Technical Services, eWorld Technologies Limited, Roise de Classe, Future Electronics (Hisense) ne Trans-African Container Transport Limited. Waliwo engeri yonna Gavumenti gy’eteereddewo abantu akabega, okulaba nga bafuna dikooda zino ku bbeeyi eteri ya buseere? Enkola y’okutunda dikooda si mulimu gwa Gavumenti, era kimanyiddwa bulungi nti bizinensi eno ya bantu ba bulijjo. Abantu kye balina okumanya nti eringa bizinensi endala, kye balina okukola kwe kulamuzaganya obulungi ne basobola okukusalirako. Kino Gavumenti tejja kukiyingiramu. Bannayuganda bajjumbidde batya enkola eno? Bannayuganda kye balina okumanya nti enkyukakyuka yazze mu nsi yonna, nga tewali ngeri gye tukyasobola kugyebalama. Ensi zonna n’ezituli ku muliraano tuli mu kisinde kye kimu. Kiringa bwe banaaleeta emmotoka nga za kika kya otomatiki, tolina ngeri gy’oyinza kugamba nti nze njagala nnyo ‘manual’. Tulina kutuukiriza buvunaanyizibwa bwaffe buli omu yeeyungeko. Kusoomoozebwa ki kwe musanze era mukusalidde magezi ki? Tewali kusoomoozebwa kwe twasanze, kuba Bannayuganda bangi bategedde era bafuddeyo okugula dikooda. Kati okusoomoozebwa kubadde kwaffe , kyokka mu bbanga lya myezi ebiri, tujja kuba tumaze okubuna eggwanga lyonna, ng’abantu basobola okukozesa dikooda ezitali za kusasulira. Olwo omuntu ayawula atya nti ddala dikooda eno y’entuufu, eyakkirizibwa okukozesa? Dikooda zonna ezakkirizibwa ekitongole kya UCCA nga si za kusasulira buli mwezi, ziriko akalambe ka UCC ku maaso. Nsobola kulaba emikutu emeka ku dikooda eno eteri ya kusasulira buli mwezi? Ojja kuba osobola okulaba emikutu egiri wakati wa 12 ne 24 okuli gino wammanga okugeza; Bukedde 1, UBC, STAR TV, UBC 24, UBC Magic, NTV, NBS, WBS, LTV, Miracle, Al-Jezira, BBC, CCTV, CITIZEN, EATV, CAPITAL, TOP TV, Record TV, Urban TV n’endala. Ojja kuba tosasula buli mwezi, kyokka ekyenjawulo ng’olaba mikutu gya wano gyokka, era nga bw’obeera oyagala okulaba egy’ebweru, olina kumala kugisasulira. Mu kiseera kino buli kitundu kya Uganda, ttivvi esobola okusikira ne mu dikooda ezitali za kusasulira buli mwezi? We twatuukira nga October 31,2014, nga dikooda za digito zikola mu kitundu ekyesudde kiromita 60 zokka okuva ku mulongooti gw’e Kololo. Ebimu ku bitundu bino mulimu; amasekkati g’ekibuga, Kawempe, Lubaga, Busega, Wakiso, Bombo, Wobulenzi, Luweero, Mawagga, Mityana, Nakawa, Nakawa, Makindye, Mukono, Lugazi, Lugalambo, Ntebe, Kigungu, Kammengo, Mpigi ne Mbizzinya. Kyokka mu kiseera kino tukoze nnyo era nga mu bbanga lya myezi ebiri, buli wantu bajja kuba basobola okusika ttivvi ne dikooda ezitali za kusasulira buli mwezi mu Uganda yonna. Bwe mbeera nga nnina ttivvi esukka ku emu, kibeera kinneetaagisa okubeera ne dikooda esukka ku emu, okusobola okuziraba zonna? Kibeera kikwetaagisa okubeera ne dikooda endala, kuba buli ttivvi erina kubeera ne dikooda eyaayo. Mmanya ntya nti ttivvi gye nguze ya digito? Olina okunoonya obulambe awamu ne bikwata ku ttivvi okuva mu katabo ke bakuweereddeko. Osobola okugenda mu seetingi ya ttivvi yo, n’okebera nga waakagigula. Oba osobola okukebera akalambe akateekeddwaako ekitongole kya UCC, okukakasa nti ddala ya digito. Kyokka oteekeddwa okukimanya nti bw’obeera oguze ttivvi ya digito ate tekikwetaagisa kugula STB oba giyite dikooda, kuba obeera wayungibwa dda. Buno bwe buzibu obuli mubakulembeze oba abafuzi banaffe abaddugavu. Okunyumya kwomukungu ono kwoleka bulungi governmenti ye bwerina omululu gwokufuna sente enyingi mu Technology omupya owenaku zino. Governmenti eno emaze enaku enyingi mu bufuzi ebadde ekamula omusolo omuyitirivu mu Analogue TV ezibadde ziyingira munsi eno. Kakati ekiriza nti Technology wa Digito alina okutuuka ne mu Uganda. Omukungu abyejeeko obyokuyamba abasobola okwegulira TV(Digito ne Analogue) ezebbeyi bwezityo. Abalimbira ku byakuzinunula na kukozesa Decoders nazo governmenti zegyako omusolo omuyitirivu. Oba oli awo abaggagga bagule Digito TV ate nga nazo governmenti eno ezigyako omusolo nagwo muyitirivu okukamala. Tugambe tutya. Lwaki gwe ofuna sente nyingi mukintu kyotasobola nakuweesa nosinga noli eyakiweesa. Ensi nyingi ebiro bino omuntu wabulijjo alina TV ne Radio(mass communications), ne computer ate mpozzi ne ssimu okusobola okufuna empuliziganya, namagezi, ate nobuyigirize obungi ddala. Lwaki mu nsi Uganda omuntu wabulijjo tasaana kuba nabyo olwebbeyi ennene enyo ddala ebitekebwaako? Ye singa TV Technology ono akolebwa wano e Buganda nga nabakozi bawano bafuna sente entono okuyunga TV zino olwo governmenti eno eba ejja kufiirwa omusimbi gwefuna okuzijja ebweru wensi eno? Kakati no tunulira omuvuyo oguli mu kuteeka munkola Digito TV wano e Kampala, Buganda. 17 July 2015 ekifananyi kya analogue bwekyagiddwa mu broadcasting service. OKUSIKA omuguwa wakati w’abaddukanya emikutu gya Ttivvi ne Gavumenti kweyongedde ng’entabwe eva ku kusalako mikutu egy’enjawulo mu nteekateeka y’okugenda ku Digito nga Gavumenti bye yabadde erina okukola temaze kubituukiriza. Bannannyini Ttivvi batadde ekitongole ky’ebyempuliziganya ekya Uganda Communications Commission (UCC) ku nninga nga bagamba nti kyatandise okussa mu nkola nga tekimaze kussaawo byuma byonna ebyetaagisa era kino ky’ekiremesezza ne Bukedde TV okulabibwa abatalina Dikooda n’abalala abazirina ne balemwa okugifuna ne basigala mu kiwuubaalo okuva ku Mmande ya wiiki eno lwe yaggyiddwa ku mpewo. Abantu bangi bayomba olwa Bukedde ne ttivvi ezimu obutabeera ku mpewo nga kino kiva ku kkampuni eyitibwa Complant ey’e China eyaweebwa ttenda okuleeta ebyuma ebisika ebifaananyi okuva ku bitebe bya Ttivvi eby’enjawulo okubikanyuga ku mirongooti e Kololo, obutakola mulimu gwayo. Kkampuni eno yapatanibwa ekitongole kya gavumenti eky’ebyempuliziganya (UCC) ekikulirwa Godfrey Mutabaazi. Omulimu gw’okuyunga abantu ku Digito gukwanaganyizibwa kkampuni endala eyitibwa Signet, abaddukanya Ttivvi gye bagamba nti terina busobozi. Palamenti nayo yatankana obusobozi bwa Signet ng’ababaka bagamba nti eri mu nkwawa za UBC eddukanyizibwa mu ngeri etatuukana na mutindo. Mutabaazi yagambye nti basuubira nti wiiki eno w’enaggweerako nga kampuni ya Complant etuusizza ebyuma ebyo, wabula mu kiseera kino bagezaako okulaba bwe bakolagana n’abaddukanya emikutu gya ttivvi bagire nga bassaawo ebyuma ebyabwe nga ne Complant bw’etuukiriza obuvunaanyizibwa bwayo. Mu kiseera kino, abalaba Bukedde TV1 be bali ku Dstv, GOtv era bano baakozesezza mayengo gaabwe okusika ‘ssigino’ okugiggya mu Industrial Area ku kitebe kya Bukedde TV butereevu. Mark Walungama akulira Ttivvi za Vision Group omuli ne Bukedde TV1 yagambye nti abaddukanya Ttivvi be basinga okwagala enkola ya Digito kubanga erinnyisa omutindo gw’ekifaananyi ekituuka mu bantu, kyokka baagala UCC etuukirize obuvunaanyizibwa obuli mu ndagaano wamu n’okuwuliriza okulumwa kw’abantu baabulijjo. Abantu baabulijjo bangi balaze okunyolwa olwa Dikooda eziri ku buseere ng’ezimu zitundibwa emitwalo 20 be ddu! Omwezi oguwedde, UCC yayanjula kkampuni 14 ze yatongoza okusuubula n’okusaasaanya, Dikooda ez’okusasula omulundi gumu ( Free-To-Air Set Top Box) nga kuliko Widestar Digital ( U) Ltd ng’eno etunda Dikooda 165,000/- World Technologies Limited- 150,000/-, Green Power Solutions batunda wakati wa 150,000/- ne 130,000/- wamu n’endala ezitunda wakati wa 170,000/- ne 200,000/-. Oluvannyuma lw’abalabi ba Bukedde TV okwemulugunya nti bbeeyi esusse, Vision Group yatuusa okusaba kwayo eweebwe olukusa okutuusa Dikooda eziguze abalabi baayo ku bbeeyi ensaamusaamu kubanga ekimanyi nti mu mbeera y’ebyenfuna enzibu, balina okuyambibwako. Okusaba kuno ekitongole kya UCC tekyakuyisaamu. Mutabaazi yategeezezza Bukedde eggulo nti oluvannyuma lw’enkiiko ez’enjawulo baatuuse ku nzikkiriziganya okuwa kampuni nyingi olukusa okutuusa Dikooda ez’okugula omulundi ogumu n’otaddamu kusasula za mwezi, kiyambe okukendeeza emiwendo. Asuubira nti kino kyakussa emiwendo gituuke ne ku mitwalo 5 gyokka. Walungama yagambye nti baagala UCC ekkirize enkola ya Digito egende mu maaso, kyokka n’abakyali ku nkola enkadde eya ‘Analogue’ (Ttivvi ezitalina Dikooda) baleme kusalibwako nga bwe bamulungula ebizibu ebiriwo naddala eky’okutuusa Dikooda eza ssente entono bamufunampola ze basobola. Kino ky’ekikyaliko enkalu era we bwazibidde eggulo ng’enteeseganya zigenda mu maaso. Akulira Signet Sam Batanda yagam¬bye nti enkola ya Analogue mu Kam-pala baagiggaddewo era kati bazzaako ebitundu ebirala 7 okuli Masaka ne Mbarara nga July 31, 2015 terunnayita olwo basembyeyo ebitundu ebirala 10 okuli Jinja , Kiboga n’ebirala. Abamu ku baddukanya Ttivvi balina okwemulugunya nti Signet ne UCC bazze n’enkola ey’okupaaza emiwendo gye basolooza ku buli mukutu gwa Ttivvi give ku ddoola 3,000 buli mwezi (mu Kampala) ne 1,500 (ebweru wa Kampala) gidde ku ddoola 45,000 buli mwaka mu buli kitundu kya ggwanga; ze bagamba nti zisusse obungi. Mu nteekateeka empya, Ttivvi okusaasaanira Uganda yonna erina okusasula ddoola emitwalo 18 (obukadde 558 buli mwaka) ez’ebitundu 4 ekitongole kya UCC bye kikutudde mu Uganda mu nkola empya. Minisita omubeezi owa Tekinologiya ne kompyuta Nyombi Thembo yagambye nti abantu okwewala okutaataaganyizibwa, alina okugula dikooda kubanga gavumenti ky’essa mu nkola kyakkaanyizibwako amawanga mu nsi yonna era ne bassaawo nsalesale wa leero nga June 17, 2015. Yagambye nti balumirwa wamu n’abalabi ba Bukedde TV ne Ttivvi endala ezitali ku mpewo era bali mu nteeseganya okukakasa nti zidda ku mpewo mu bwangu abantu balemwe okusubwa pulogulaamu ezibanyumira, okubayigiriza n’ezirwanyisa obwavu. Ensi ya Buganda erina obuzibu bungi ddala ebiro bino. Kakati wayisewo emyaka 50 nga tewali kusubira kwona nti Buganda eva mubuzibu bwerimu. Ensi nyingi ddala zirina empuliziganya za TV ate era ne Radio. Naye nga yo Buganda terina nakamu. Obukugu bwokumanya okuddukanya empuliziganya zino webuli. Era bwotunulira radio ne TV ezikola mu nsi ya Buganda mpozzi era ne Uganda nga za bagagga olaba nga kisoboka abantu ba Buganda okuddukanya emirimu gino kulwensi yabwe. Ate no Technology naye siwa sente nyingi nyo nti tasoboka kugulwa. Ebiseera byedda byali byetagisa studio nnene nyo okutambuza emirimu gyempuliziganya zino. Sibwekiri kakano. Era ndowooza ettaka lya TV ne Radio awo e Nakasero kyelyava litundibwa nga lyonna terikyetagibwa okuddukanyizako emirimu gino. Kaleno twetaga okumanya kiki ekilemesezza ensi yaffe eno okuteka munkola obuvunanyizibwa buno. Bwetunafuna ensonga eziganye Buganda okwekolera kunsonga zino kisoboka okusala amagezi. Sunday Essawa zezimu nga bwebakola ku Saturday. Waliwo ennaku zino bwebawereza nemunnimi endala eza Uganda nga Olunyankore, Oluzungu, nendala. Kumukutu guno ogwa radiomunansi batandika mangu nga ku ssawa kkumi aba kkumi nemu eze ggulo era ku week-ends. Buganda Nation has been restored on 1-1-2015 be patient and listen to the entire video for more details. Omutindo nomugaso gwa Internet ebiro bino tekyetaaga kuyigiriza nakamu abantu ba Buganda ate era na ba Uganda. Tetuyinza kulowooza nti NRM yeyigiriza abantu ba Uganda omulembe gwe ssimu zo mungalo eziyinze e nnaku zino. Obusuubuzi bw'ensi nyingi ddala bwebulese technology ono. Kibi nyo nti governmenti ya Uganda omusimbi gwayo omungi eggumalira nyo kubyakwegula mu kulonda abafuzi bayo mukalulu. Olwaleero mu Bungereza mu British Library Newsroom, London, St Pancras. E Bungereza Culture Secretary, Mr Sajid Javid, olwaleero aguddewo Ebyafaayo bya Bungereza okuva Entalo zensi eno lwezatandikawo emyaka nemyaka emabega. Empapula za mawulire kubyafaayo bino ziwera million 750. Empapula zino zimalawo shelf space (cupboards) 20km (12 miles) okuzitambula okuzimalayo. A private firm owns Uganda’s Internet domain name — co.ug, a code reserved for a country, a glitch that could endanger national security. This revelation was made at a Finance Committee meeting on Tuesday where MPs pressed ICT minister John Nasasira to explain how a private company, i3c, formerly, known as Computer Frontiers, came to own the country’s domain name. “We cannot afford to leave our domain in private hands when there are criminals in nearly 200 countries lurking online – plotting large-scale attacks as well as smaller attacks aimed at stealing personal information from unsuspecting citizens’ home computers,” Mr Xavier Kyooma (Ibanda North, NRM) said. In February 2007, Parliament was stunned to learn that Uganda Telecom had secretly given a communication freeway to Gemtel Ltd, a Sudanese company, to use Uganda’s dialing code (+256). Parliament asked the government to deal with the matter before it went to court. Mr Patrick Masambu, the former Uganda Communications Commission (UCC) boss, told Parliament then that Mr Nasasira, who Minister for Works and Transport under whose portfolio communication previously was, had introduced UCC to Gemtel seeking technical advice. Domain names are allocated by the Internet Corporation for Assigned Names and Numbers (ICANN), a US-based not-for-profit public-benefit corporation dedicated to keeping the Internet secure, stable and interoperable. It promotes competition and develops policy on the Internet’s unique identifiers. However, Mr Vincent Bagiire (Bunya West, NRM), the ICT Committee chair, told Daily Monitor that on the African continent, the allocation of domains by ICANN is done in conjunction with AFRINIC, a regional registry for Internet number resources serving the African Internet community. Mr Saaka said negotiations were in advanced stages for government to reclaim the domain name. “The thing is that there are people who rushed and obtained the domain name. But we went to Cabinet and a policy on the domain name was approved. We have engaged the company [to relinquish] the top level domain. There is also go.ug which must be purely government,” Mr Saaka said. As legislators called for an investigation, Mr Saaka said as technology evolved, the company helped the government to run the domain. “They have done a good job, we cannot just disregard them. We can only discuss with them to see how we can own the domain,” he said. The MPs resolved to contact the registrar of companies to furnish them with the details of the proprietors of i3c and asked the minister to explain the circumstances under which the company took over the domain. Meanwhile the committee asked the minister to provide specifics on the Shs80 billion UCC is reportedly holding on a fixed deposit account. However, officials from UCC told the committee that the only money on a fixed account is Shs15 billion. Mr Nandala Mafabi (Budadiri West, FDC) and other MPs also criticised the minister for delaying to appoint a new board at UCC. The committee heard that for two years, the corporation has “limped” without a board. The minster indicated that in September, UCC will have a new board. HOUSEHOLDS which are still using analogue television sets have barely three months to upgrade to digital if they are to continue watching television. This after the Uganda Communications Commission indicated that it plans to switch the whole country from analogue to digital broadcasting in the next three months, as it races to beat the June 30, 2015 global digital migration deadline. Acknowledging that Uganda is behind schedule, the UCC executive director Godfrey Mutabazi toldNew Vision that all the necessary digital equipment has been procured, and the necessary digital signal infrastructure is being laid out across the country, ready for the switch. Mutabazi further noted that UCC will on Wednesday meet the parliamentary committee of Information and Communications Technology to agree on the actual date when the switching off should begin. Digital broadcasting will offer television viewers better quality pictures, improve TV reception signals, and also free the spectrum for other users. Rolling out digital migration, however, will require broadcasters to shut down their analogue TV transmitters and adopt digital TV signals. Although the initial target for UCC to switch-off analogue broadcasting was December 2012, it was pushed 2013 and later December 2014, citing a number of technical and operational hiccups. The early migration was meant to mitigate any challenges that may arise before the deadline. But even then, the country failed to beat the 2014 deadline, and it is now rushing to meet the global deadline. It should, however, be noted that majority of Ugandans still use analogue television, with majority citing the high cost as the biggest barrier to accessing digital television. It is estimated that although there are about five million television sets in Uganda, only about 300,000 are digital. The initial charge for installing a PayTV that uses a dish for instance ranges between Shs120,000 and Shs300,000 depending on the service provider while the Digital Terrestrial Transmission (antenna powered) service providers charge between Shs65,000 and Shs80,000. 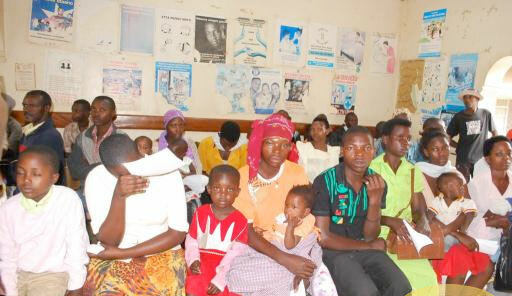 This is not to mention the high monthly subscription charges that range between sh25,000 and sh250,000, which is too expensive to most Ugandans, whose population of low income earners is estimated at over 80%. To facilitate the migration process, however, StarTimes launched a cheaper decoder that costs sh8,000. However, potential buyers have to pay an initial subscription fee of shs41,500, which entitles them to 7 months of digital television services on a Nova bouquet, whose monthly subscription is shs6,000, or for 2 and a half months TV if they opt for a Basic bouquet. Speaking at the launch of the decoder, StarTimes marketing director Aldrine Nsubuga said the move seeks to increase affordability and enable more Ugandans to enjoy digital pay television services. According to Christine Nagujja, StarTimes public relations officer added that the launch of the decoder seeks to facilitate the digital migration process through affordability. “We are not looking at profits now; we want to first grow the subscriber numbers by getting as many people as we can on board and money will come later. For pay TV, money is not in the initial access fee, it’s from the monthly subscription fee and the more the people the better,” she said. Pay television services providers in Uganda have always attributed the high initial installation costs to high taxes, which they say stifle penetration. Pay TV service providers say they pay 49% of revenue in taxes that include 25% import duty on dishes, 6% withholding tax and 18% Value Added Tax. It should be noted that a few African countries including Tanzania, Rwanda and Mauritius have completed the transition to digital while Tunisia, Zambia, Morocco, South Africa, Ghana and Kenya among others are also said to be in the process of transitioning. A voluminous parliamentary report on the performance of public enterprises has found that the manner in which some of them are run is appalling, leading to losses amounting to billions of shillings annually. An analysis of the report written by the Committee of Parliament on Commissions, Statutory Authorities, and State Enterprises (Cocase), found that the largest losses arise from sheer negligence, fraud and mismanagement. The report reviewed the financial years ending in June of 2011, 2012, and 2013. It found that several public entities are grappling with management issues, gross procurement irregularities, and suspicious transactions involving millions. Some entities have been making losses for years, while others have not been paying taxes or remitting NSSF deductions on their employees, and yet others are grossly understaffed. The committee observed that some enterprises are run by individuals as though they were their personal fiefdoms. In such cases, bosses are not shy to employ their children and relatives. At Uganda Investment Authority (UIA) for instance, the executive director, Dr Frank Sebbowa, reportedly took over active supervision of interns from his juniors at some point and extended their stay at the workplace beyond what was stipulated. The committee found his conduct “strange,” according to their report. The report also noted that Mandela National stadium paid Shs 114.2m to undisclosed individuals as commission for getting business for the stadium but there were no receipts to show that the money had been received. At the National Forestry Authority, Shs 19.6m was paid in cash to staff to install garden lights and repair transport units. NFA officials argued that the installations were minor and did not require procurement. The committee actually found what it described as procurement irregularities in least 13 government entities, including National Planning Authority, New Vision, Dairy Development Authority (DDA), PPDA, Ubos, Uganda Land Commission, and Kilembe Mines Ltd. Some entities, the report found, have failed to protect or secure their land titles. Others have the land housing their headquarters being claimed by some people. For instance, the report found that the title of NFA’s plots 4 and 5 in Bugolobi, where the body has its headquarters, was transferred by Uganda Land Commission to RARA Info Tech Ltd, a firm owned by one Rajan, a moneylender. At least nine other entities were found to have no titles for their land or their leases secured. The report notes that in such cases, they are at risk of losing the land. Some entities have operated without boards for more than three years, the committee noted. The board’s role in such cases has been usurped by either management or the line minister, who often abuse or overstep their mandate. To function effectively, public entities are required to have boards of directors, who, among other things, appoint the top management and oversee the overall running of the entities. But as many as 27 government entities were found to operate without a board of directors or an internal audit function. Entities that have operated without a board for more than a year include National Drug Authority (NDA), Uganda Communications Commission (UCC), Joint Clinical Research Centre (JCRC), Uganda Industrial Research Institute, Uganda Coffee Development Authority (UCDA), Rural Communications Development Fund (RCDF), Uganda Broadcasting Corporation (UBC), UIA and National Animal Genetic Resource Centre & Data Bank (NAGRC & DB). Others have boards but still the committee found irregularities in the way they work. At UIA, the minister of state for Investment, Ajedra Aridru, disagreed with the management and technical team on who should be given land in the industrial park at Namanve and who should or shouldn’t pay the premium. The minister also waived the premium payable by Picfare, yet the firm doesn’t fall in the waiver-qualifying categories of ICT, tourism and hospitality, mineral beneficiation, and agro-processing. Asked about his interest in Picfare, the minister told the committee that he had “Googled and found that processing stationery or paper was indeed agro-processing”. This, he said, was justification enough for Picfare to get a waiver. On another occasion, the same minister directed that Bugembe Real Estate Developers be given land without paying a premium since the firm would use the land for agro-processing. The committee wondered how Bugembe, a real estate firm, had suddenly become an agro-processing enterprise. “The minister took it upon himself to expand the definition of the word agro-processing to help the companies escape paying premium,” the report says. Bugembe received 3.6 hectares and, according to the report, it wants to parcel it and sell it. The committee estimates that the government could have lost Shs 700m through the minister’s arbitrary actions. The committee further found that more than 16 entities had critical staff missing, which derailed their performance. Of the entities analysed, the report says, 39.3 per cent (540) of the vacancies were not filled. At the Uganda National Bureau of Standards, for instance, of the 457 approved staff structure, 223 slots remain vacant. At Uganda Bureau of Statistics, 75 places are not filled; 55 are unfilled at National Planning Authority, 42 at UCDA, and 38 at PPDA; 27 at UIA and 22 at Uganda Wildlife Training Institute. Yet on top of understaffing, there are huge salary disparities across the board. “Officers in some entities are paid half or a quarter of the salary of their colleagues elsewhere to perform similar or same functions,” the report says. The committee found that in the period reviewed, Shs 1.1bn spent by eleven entities remained unaccounted for. The funds were advances to individuals, fuel expenses, and utility bills lacking supporting documents. For instance, Dairy Development Authority (DDA) failed to account for Shs 405.5m in procurements and an additional Shs 25m in advances to staff. UIA could not account for fuel expenditure worth Shs 191.5m and workshop expenses to the tune of Shs 91.9m. The Uganda National Cultural Centre (UNCC) could not explain unaccounted-for advances to the tune of Shs 140.9m. Management Training and Advisory Center (MTAC) has a doubtful expenditure of Shs 19.3m and Shs 33m in fuel expenses. National Planning Authority (NPA) failed to account for Shs 29m. Insurance Regulatory Authority couldn’t explain Shs 40m in fuel expenditure. Rural Communication Development Fund spent Shs 52m on trainings ICT but lacked support documents; NAGRC&DB in Entebbe couldn’t explain the loss of Shs 8m, Nakivubo War Memorial stadium Shs 19.5m, and Uganda National Council for Science & Technology (UNCST) Shs 20.4m. The report also shows that as many as 10 government entities had failed to collect money from debtors. Some 67 per cent (Shs 136bn) of the money is owed to Bank of Uganda. Civil Aviation Authority (CAA) can’t collect Shs 48bn so far, National Medical Stores Shs 12bn, UBC Shs 3.3bn, and NSSF Shs 1.1bn. Others that have failed to collect debts between Shs 15m and Shs 400m are: Allied Health Professionals Council, Nakivubo Stadium, Uganda Development Bank, DDA, and NEMA. As many as seven entities did not remit statutory deductions relating to PAYE, withholding tax, and NSSF contributions. Shs 5.3bn in taxes was not remitted in 2013 as well as Shs 1.2bn in workers’ savings to NSSF. Entities with outstanding amounts for taxes are Nakivubo War Memorial Stadium (Shs 805m), Uganda Post Ltd (Shs 3.1bn in 2012) and (Shs 83 in 2013), UNCC (Shs 110m), and UNBS (Shs 1.8bn). 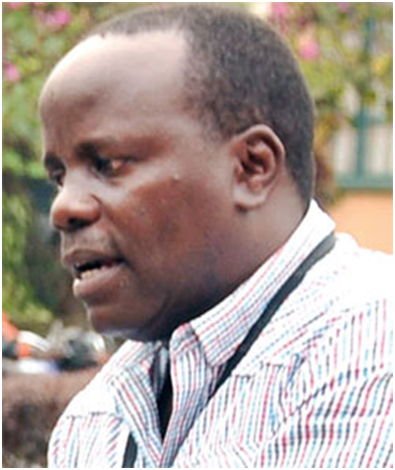 Several entities have failed to pay government outstanding dividends to the tune of Shs 4bn. As at 2011, National Housing owed government Shs 2.3bn, Uganda Property Holdings Ltd Shs 200m in 2010, and Shs 300m in 2013. New Vision is yet to pay Shs 1.2bn in dividends to the government. The committee said this was irregular as the funds ought to have been remitted to the consolidated fund before expenditure was allowed. “It is only parliament through the Appropriation Act that can authorize expenditure of government revenues,” the committee said in its report.